We were pleasantly surprised to see how many people shared the first part of our article about the European national parks we are crossing and we think you’ll enjoy this new one. It took us some time to write this sequel as we are very busy lately with the final preparations for our approaching Southern Europe thru-hike, and our cortisol levels are in the red zone 🙂 ! Check out our website at Deux Pas Vers L’Autre you will find a lot more information about our adventure. In our first article, we talked about locations in countries for which info is pretty easy to obtain such as Spain, France, and Italy. Millions of people hike there every year. For this second article, we wanted to share the more intricate details of our path through the Slavic countries of southern Europe. For those, it is often harder to get access to relevant documentation to help prepare for your hike. We hope this will at least give you some ideas for your next searches! In this article, we present to you six other fantastic locations to look at before planning your next European thru-hike. We intentionally picked one area per country. Each and every one of them belongs to our itinerary! Ready to travel? Check the map of our itinerary and spot the parks in those countries ! We invite you to hike through six amazing national parks, in countries you might have never have considered. Slovenia is a country we heard a lot about from hikers this year. They told us how amazing the country is, and how culturally rich and welcoming it feels for foreigners. Slovenia is a cosmopolitan gem at the crossroads between Slavic, Germanic, and Latin culture! The trail of Mt. 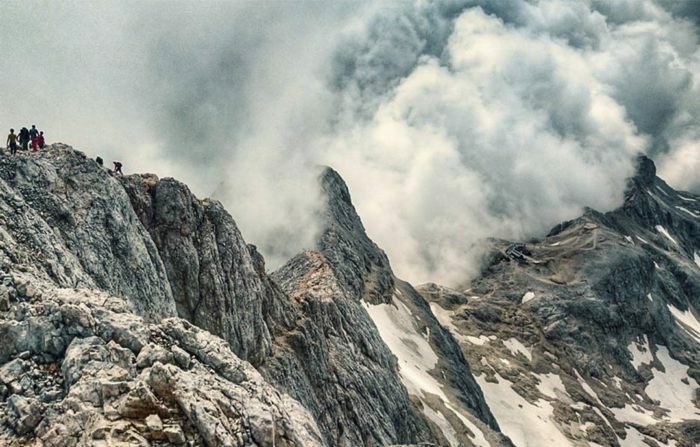 Triglav will amaze you with its rocky path into the clouds. The park extends along the border of Italy to the Austrian border in the north-west of Slovenia. It covers up to nearly 840 square kilometres, which represents a significant part of Slovenia. 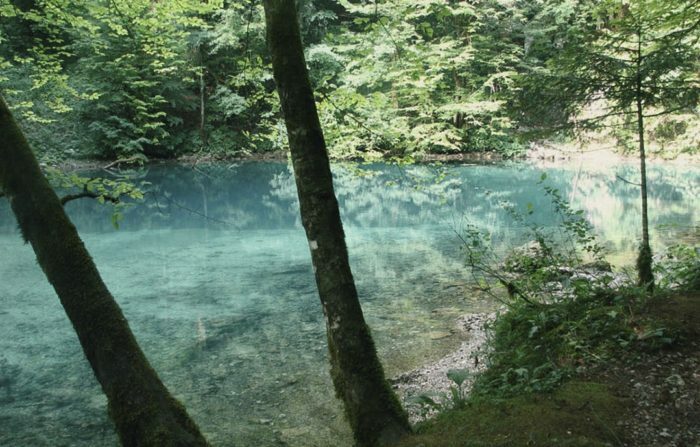 As the country has been environmentally concerned for a long time, the Triglav Park is one of the oldest natural European parks. It has created as an Alpine Conservation Park in 1924. The origins of the name of the Triglav are rather uncertain. Some say Triglav, meaning three-headed, owes its name to its characteristic shape as seen from the southeast side. Others say it comes from the highest goddess in Slavic mythology who was supposed to have her throne on the peak. The Triglav is one of the extremities of the Purple Trail of the Via alpina. The hike to the Mt. Triglav is one you need to be prepared for. Demanding and dangerous, it is a trail that can be hiked mostly during summer and early autumn. It is best—if not necessary—to go ultralight. If you intend to spend time thru-hiking in Europe, Croatia is one of the countries to take a look at. It is well known for its national parks—eight in total. The Rinsjak National Park might not remind you of the often-seen pictures of the Croatian coast, as it is home to both forests and mountain lovers. While it is only an hour from the sea, the park is home to three great carnivores: bear, wolf, and lynx roams its forests! In Croatian, Ris means the Lynx, which is how the park got its name. The park is located in the region of Gorski Kotar, not that far from the capital, Zagreb. 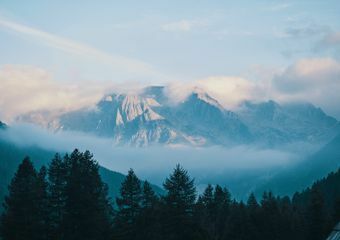 The park covers an area of 64 km2 at the crossroads of the Julian Alps and the Dinaric Alps, and where the Mediterranean environment gives way to the Pannonia Plain. It combines pretty much all types of forest and has a particularly rich flora. Risnjak’s summit is a true challenge and attracts many mountaineers. It is equally attractive in all seasons: in winter, when it is all covered in snow, in spring, or summer. We will be following the trail of the Via Dinarica as our path through this park! Hopefully we won’t encounter too many hungry bears in the autumn. The previous information was quite easy to find online, but the following was more difficult to obtain. 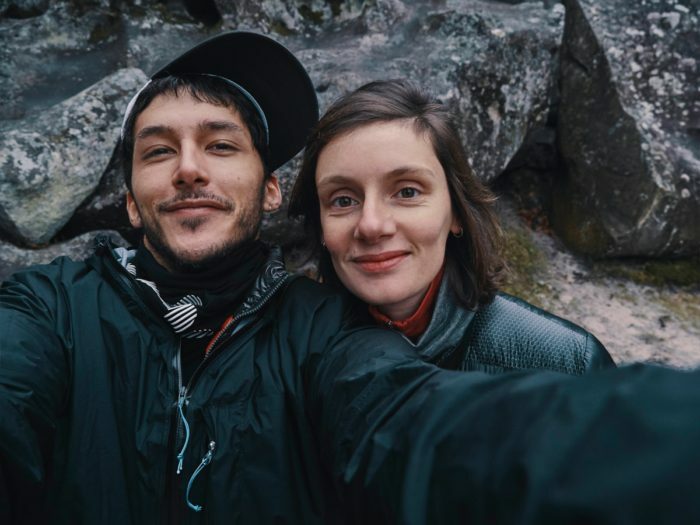 Hiking in the Balkans definitely has something quite magical to it, and although more and more people are taking the plunge, it still remains such of a wild and unknown place. The Blidinje Park, at just 20 years old, is a fairly recent park. It is in the central zone of the high mountains of Bosnia and Herzegovina, and covers 364 km2 between the territories, Posušje, Tomislavgrad, and Jablanica. At its center, you will find the Dugo Polje Peak. The Blidinje Lake is located in the southeastern part of the park. It is also known for its very particular geologic formations and can be divided clearly into two different areas with regards to climate, with distinct mediterranean and continental zones. The trails of the Blidinje are beautiful, and you can also traverse the park by the Via Dinarica, the new and fantastic long-distance trail of the Dinaric Alps. Check out their site for more info. Montenegro is a small but very eco-conscious country. The national park of Prokletije is a project that only came to life in 2009. 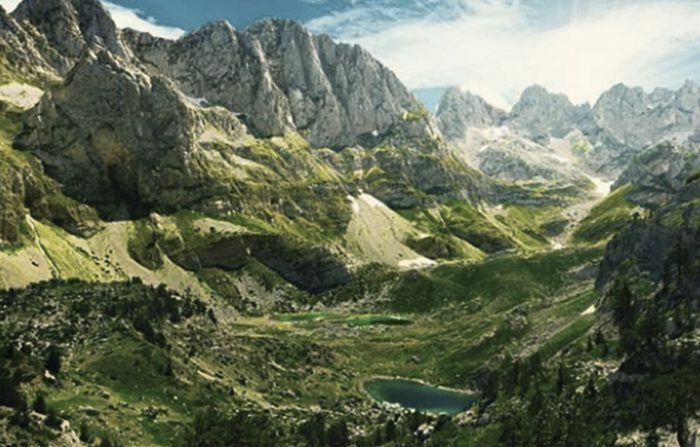 The Prokletije massifs dominate the southernmost part of the Dinaric Alps, and the park covers than 40 miles, extending from the Skadar Lake to the Albanian border. There are other national parks on this fantastic massif, and are in Albania. The relief map shows many peaks, gorges, and steep slopes. It will undoubtedly remind you of the Alps for the terrain and technical trails. The park is a blend of nature and has a lot to offer to serious hikers and mostly ultralight hikers due to its challenging steep terrain! If you’re planning a thru-hike through here follow the Via Dinarica… that’s our plan! The National park of Bjeshkët e Nemuna is one of the most fantastic national parks of the Balkans. Located in the western part of Kosovo, near the Albanian and the Montenegrin border, the park covers a large area of 630 km². 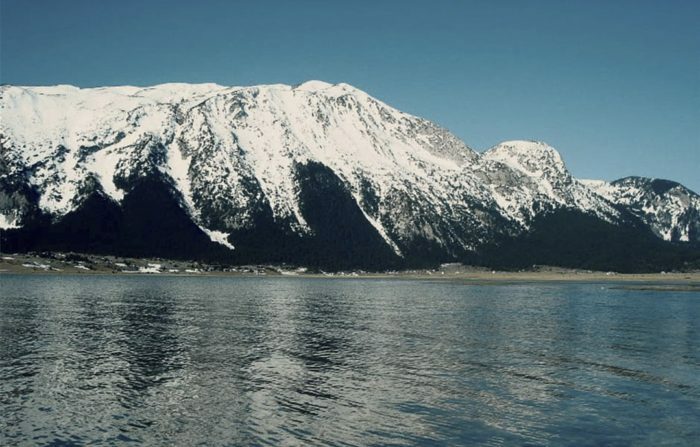 It has a very mountainous landscape, and hosts tons of lakes as well as dense coniferous forests. The park was born from a strong desire to preserve the ecosystem and bio diversity, as well as the desire to protect the cultural and historical heritage of the region. 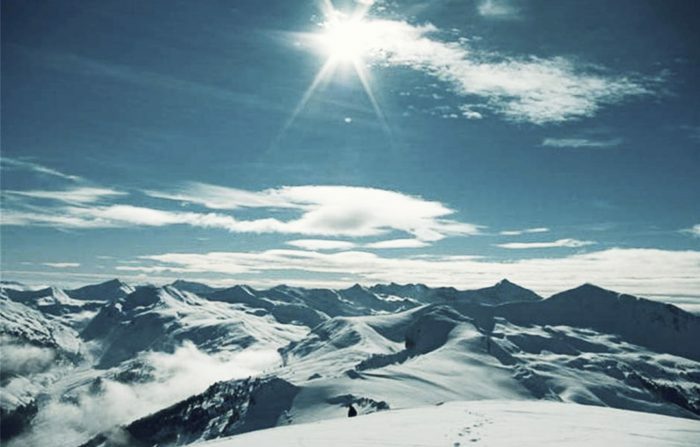 The highest point of the park is the Gjeravica with an elevation of 2,656m, and the wide range of landscapes and rugged topography of the mountains has created favorable conditions for a fantastic fauna and flora. In this park, you will be able to spot large mammals such as wildcats, golden eagles, chamoises, roe deer, and grey wolves, but also endangered species such as lynx and brown bears. Nearly 40 species of mammals, 150 species of birds, 10 species of reptiles, and 13 species of amphibians lives within the area of the park. It is definitely a place to go for nature lovers. Tourism is close to nonexistent and the region has tremendous untapped potential! Mavrovo National Park is the largest of the three national parks of the Republic of Macedonia. It was founded in 1949 and is located in the west of the country between Lake Mavrovo and the Albanian border. This park is home to the highest mountain peaks in Macedonia: the Great Korab Mountain (2,764 meters tall). Mavrovo’s forests contain hundreds of rare species of animals and also has very diverse flora. The park is a fantastic place to hike in the summer or spring. Hiking here in the winter remains a real challenge that we needed to prepare ourselves for. The largest lake in Macedonia is located in Mavrovo, and due to its elevation (over 1,000 meters), this artificial mountain lake (the area was flooded back to be a water supply for a nearby power plant) often freezes during the winter. Fun fact: in the middle of the lake, you can still see the half submerged village’s former church. On top of being one of the most beautiful canyons in the world, people from the region are known to be very welcoming ! The Mavrovo National Park is the biggest of the three national parks of the Republic of Macedonia. Mavrovo is also home to the brown bear. So beware of your food and remember not to keep it near your camp! Hike your own ( European ) Hike! In our next article, we will make you discover the last 6 countries of our journey through 6 other fantastic locations. We will share our planned route through the amazing national parks of Albania, Greece, Bulgaria , Serbia , Romania and Turkey! 6 other amazing countries and their national parks, sanctuaries of a wild and abundant life. Feel free to share your hiking experiences in those countries with us! Check our website to know more about our itinerary. We share all GPS locations of of our thru-hike. Check out the the Via Dinarica and the Via Alpina and get inspired—those two thru-hikes are amazing!